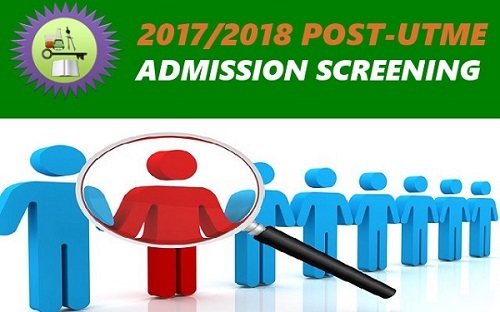 This is to inform the general public and applicants of Ladoke Akintola University of Technology, LAUTECH that the Post-UTME admission screening form for 2017/2018 admission process is out. Will LAUTECH conduct Post-UTME as a factor for gaining admission in 2017? What is the cut-off mark for LAUTECH in 2017? How can I apply for LAUTECH Post-UTME admission screening exercise 2017/2018? These are the few questions that aspirants of The Ladoke Akintola University of Technology, LAUTECH are looking for an answer to. I have decided to write this article to guide you on how to apply for LAUTECH Post-UTME admission screening exercise for 2017/2018 academic session. ELIGIBILITY FOR LAUTECH POST-UTME ADMISSION SCREENING EXERCISE 2017. Am I eligible to apply for LAUTECH 2017/2018 admission screening exercise? See you answer below. Notice is hereby given to all candidates who chose Ladoke Akintola University of Technology (LAUTECH), Ogbomoso as their first choice institution in the 2017/2018 Joint Admissions and Matriculations Board’s Unified Tertiary Matriculation Examination (UTME) that a Post-UTME Computer Based Test (CBT) Screening Exercise will be conducted between Thursday 26 and Friday 27 October, 2017 at 10:00am. Also, candidates must have a score of not less than 180 to be qualified for the screening exercise. In case you don’t know, LAUTECH will conduct Post-UTME examination as a factor for gaining admission in 2017. I will disclose the date to you later in this article. 1. Applicants are to proceed to the admissions website of the University – www.admissions.lautech.edu.ng to make payment of a fee of Two thousand, two hundred Naira (N2,200) only for the purpose of online registration for the screening exercise as well as University portal access fee charge of Five thousand, five hundred Naira (N5,500) only using Inter-switch Enabled Debit Cards (ATM). 2. Applicants are expected to carefully complete and submit the online application form. Incomplete application form will not be treated. 3. In completing the online application form, applicants are expected to upload a digital copy of their scanned passport photograph which must be in JPEG (i.e. jpg) and must not be more than 20kb. The photograph must be in white background showing ears, with no cap and glasses. 4. On submission of the application form, applicants are to print out an acknowledgement page which assigns them the venue of the screening exercise. d) Applicants are advised to come for the exercise with their acknowledgement page colour print-out from the online registration. NOTE: The use of cell phones (GSM, CDMA, PDA) and other electronic devices is NOT ALLOWED during the test. Do you have any question or Idea? Feel free to drop it by using the comment box below.